When will be Gordon Buchanan: Elephant Family & Me next episode air date? 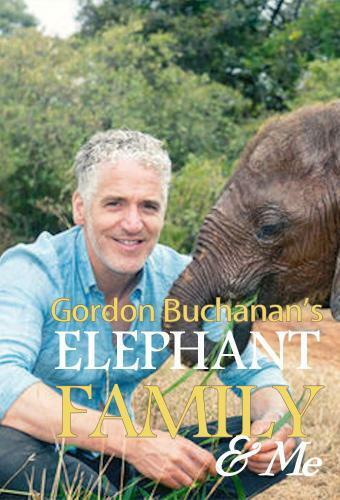 Is Gordon Buchanan: Elephant Family & Me renewed or cancelled? Where to countdown Gordon Buchanan: Elephant Family & Me air dates? Is Gordon Buchanan: Elephant Family & Me worth watching? Gordon Buchanan tries to gain the trust of a herd of elephants in the wilds of Kenya to film this uniquely intimate portrait of their family life. Gordon Buchanan tries to gain the trust of a herd of elephants in the wilds of Kenya to film this uniquely intimate portrait of their family life. Wendy is a teenage elephant mother, struggling to raise her first baby Wiva. Filming them is tough - elephants are one of the most dangerous animals on earth thanks to years of human persecution. With the help of local expert Benjamin Kyalo, Gordon manages to get spectacularly close to the elephants on foot. And he witnesses at first hand the dangers baby Wiva faces growing up in the African bush. Gordon Buchanan returns to Kenya to follow baby elephant Wiva and her family in the height of the dry season. A new baby, Gawa, is born creating an extraordinary celebration. But will Wiva be left out in the cold now that there is a new baby in town? Gordon follows the family through the African bush experiencing the challenges they face in their fight for survival. Gordon Buchanan: Elephant Family & Me next episode air date provides TVMaze for you. EpisoDate.com is your TV show guide to Countdown Gordon Buchanan: Elephant Family & Me Episode Air Dates and to stay in touch with Gordon Buchanan: Elephant Family & Me next episode Air Date and your others favorite TV Shows. Add the shows you like to a "Watchlist" and let the site take it from there.